A bouncer is an essential baby item in my book. It allows some precious hands-free minutes to indulge in life’s little luxuries, like having a shower or microwaving leftovers. If you can also find a bouncer that looks great, can be machine washed and is strong enough to hold a toddler, then you have well and truly hit the jackpot. Babyologists, consider that jackpot hit, we have found the bouncer for you. We featured the Bombol Bamboo bouncer a few years ago when it was first released in Australia and now it comes with a very cosy looking newborn kit to make the bouncer even more comfortable for little babies. The newborn kit has a shorter back rest to cater for a newborn’s lighter weight and it also has an inbuilt head support which is vital for those first weeks.the newborn kit and the original seat are interchangeable with a zip. Of course, the original seat is pretty awesome on its own. 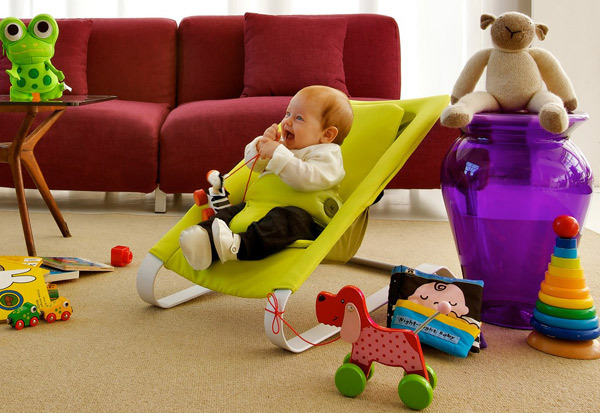 Weighing it at just 3.5 kgs, the bouncer reacts to your child’s movement, so your baby’s squirms actually serve to bounce her! 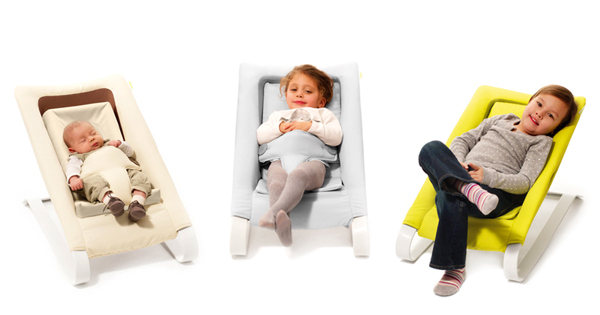 When your baby is old enough to sit themselves up, the bouncer seat becomes more upright. The Bombol Bamboo Bouncer also has a weight limit of 18kgs, making it an ideal toddler lounge chair long after those baby days are gone. 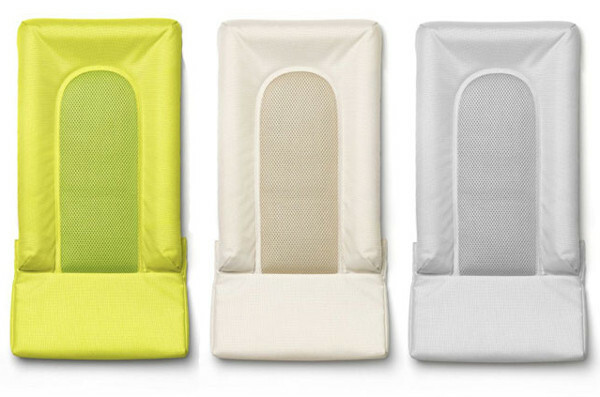 Available in coconut, spring lime and elephant grey, the Bombol Bamboo Bouncer is available for $299.95 from Danish By Design. The newborn kit comes in the same colours and is $69.95. Libby lives in Sydney with her husband, three children (plus one on the way) and dog. In a former life, she was a high school English and history teacher who loved going out for breakfast and spending holidays reading book after book. These days, Libby spends her time kid-wrangling, catching quiet moments with a coffee, trying to avoid taking the kids to the shops and, when time allows, getting lost in a good book or a spot of crochet.